The scientific life of Charlotte Schmid is marked by her stays in India: two years in North India (1991-1993) were followed by an assignment, in September 1999, in the centre of Pondicherry (EFEO), Tamil Nadu, for four years. These two periods of intensive work in India articulate a research led between two spaces of field-work, the North and the South of the subcontinent. 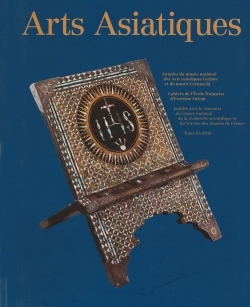 After an attempt to define a colonial culture, the Bactrian Greece, based on the material from Aï Khanum -the most important Greek colony excavated in Central Asia- and classical studies (Greek, Latin, École du Louvre), the discovery of Sanskrit and the reading of La grande route de Bactres à Taxila of Alfred Foucher, pointed to the necessity of field-work. 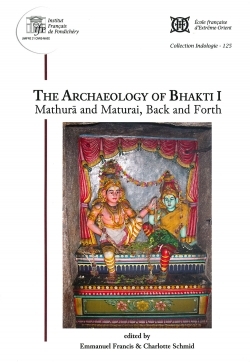 Firstly, following the road of India to an accessible country, which allows studying the relationships between two types of corpus, texts and archaeological material taken in a broad sense, Charlotte Schmid worked on the first known figures of a major Hindu deity of bhakti, Kṛṣṇa in Mathurā. Today an Indian city of medium size of which Kṛṣṇa-devoted cults have forged cultural identity, Mathurā, with its mosque of the 17th c. and its numerous Jain, Buddhist and Brahmanical remains dated from the 2d c. BC, is loaded with myth. A doctoral thesis supervised by Gérard Fussman and focusing on a confrontation between the archaeological evidence and the texts which made of Kṛṣṇa “the” child of Mathurā, was followed by a research on the iconography and the epigraphy of the Gupta period, as it is accounted for in Le don de voir. 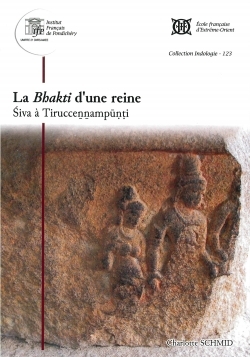 Secondly, the posting in Pondicherry led C. Schmid to study the appearance of the deities of bhakti in the Tamil country. The issue of the relationship between texts and archaeology is conducted in "another" region and on better documented periods of time. The EFEO centre gave access to new fields of research. The work with traditional pundits was not the least of them and C. Schmid started to also investigate Tamil data. Posted in Paris since 2003, she pursues researches on the figures of Hinduism in Ancient India, fed by lively exchanges with the Indian scholars of the Centre of Pondichéry and by archaeological material (monuments, sculptures, inscriptions). 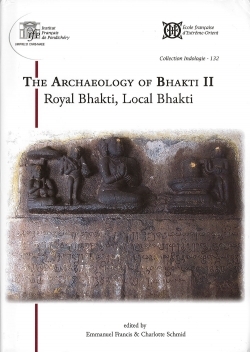 Temples in situ, provided with dozens of inscriptions and sculptures, established between the 6th and the 12th c., as well as the texts, often devotional, connected to them, constitute the basis of, for instance, Sur le chemin de Kṛṣṇa : la flûte et ses voies and La Bhakti d’une reine. 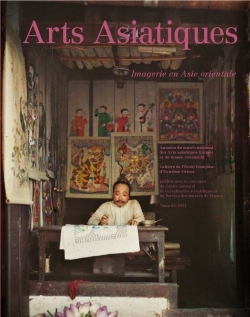 Her seminars at the École pratique des hautes études, her role as editor in chief of Arts Asiatiques and member of the editorial board of the Bulletin de l’École française d’Extrême-Orient, her involvement in the Corpus des Inscriptions Khmères (CIK) provide opportunity for many exchanges with students and colleagues, which, finally, made of Southeast Asia one horizon of the work of C. Schmid.